In the Champions League match between Benfica and Manchester United that happened on Oct 18, 2017, Rashford took a freekick, the Benfica goalkeeper misjudged the angle and trajectory of the freekick and carried the ball inside the goal. 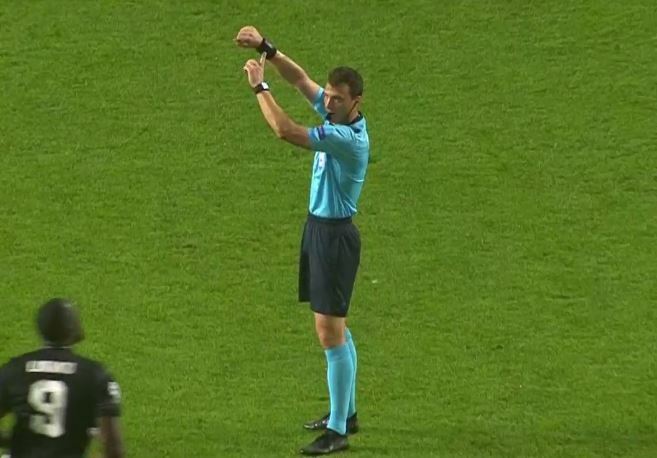 The referee was standing very far away, but even then he knew the ball had crossed and I think he said so by pointing to his watch. Why did he do that? Does the ball have some sort of GPS tracker that relays to the watch? Can someone explain this? The UEFA Champion's League uses goal-line technology. This is an automated system which detects the moment the ball has crossed the goal-line under the crossbar. 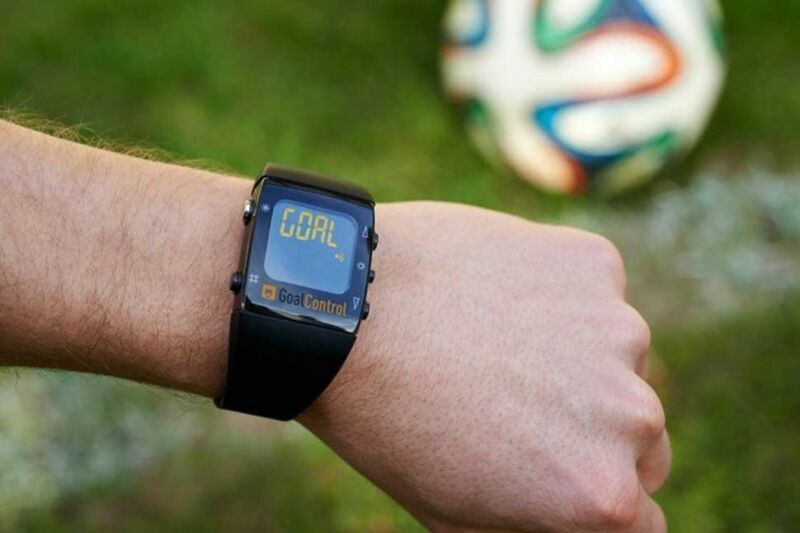 It sends a signal to the referee via a wrist-mounted alarm unit to show a goal has been scored. This reduces the reliance on precise visual judgements from bad angles. The referee indicated that the GLT unit had already signalled a goal. The indication of whether a goal has been scored must be immediate and automatically confirmed within one second by the GLT system only to the match officials (via the referee’s watch, by vibration and visual signal). While the technology employed is Hawk-Eye based provided by Hawk-Eye Innovations Limited, to know how it works watch this video. Not the answer you're looking for? Browse other questions tagged football officiating uefa champions-league technology or ask your own question. What medal did the referee in the FIFA world cup get?